If you’re getting this feeling that your cooking space is in a dire need of a makeover, perhaps it’s the right time to embark on a journey to make it more organised as well as much more functional. Having a nicely designed kitchen is everyone’s dream these days and you shouldn’t get left behind in this race. There are several ways of bringing that much-needed energy into your kitchen. 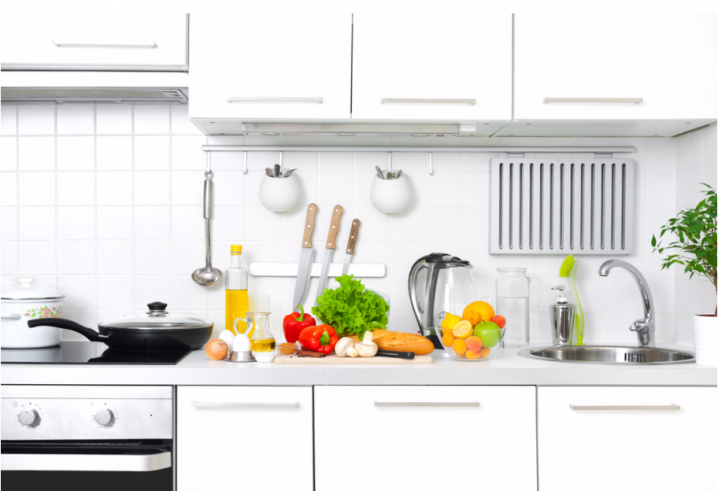 World Kitchen bring you some important tips to upgrade your kitchen for Summer. Having the kind of kitchen you want – which is functional as well as inviting may require a bit of thinking but it’s not impossible. To give it a fresh feel, transform your cabinetry by applying a fresh coat of paint. To add that modern touch to your kitchen make sure that you stick to the hues that are trending this Summer, such as shades of green, blue and red. Have a couple of open shelves in your kitchen wherein you can place important cooking ingredients like boxes of spices that you can see easily reach while preparing your meals. This gives functionality to your shelving as open and closing shelves while preparing meals can be difficult depending on the meal. Some meals require a lot of space and just opening one shelf to reach the spices could spell disaster. The accessibility to each these common items allows for a streamlined kitchen. To add comfort and glamour to your kitchen make sure that you have quality dinner sets in your home which help in enhancing your dining experience. Corelle dinner sets come in a variety of designs which match several kitchen styles and they’re designed to match the requirements of every home. Corelle dinner sets have been used by people for years now especially because of their break-resistant material. One of the most important things that you must consider while investing in a dinner set is its durability. When it comes to Corelle dinner sets this has already been thought of as they’re break-resistant. Everybody has gone through that time in their kitchen where a stray hand or arm has accidentally knocked a priceless plate off the side, smashing instantly. No longer with a Corelle dinner set as the shatter-resistant material allows you to avoid dealing with that mess. To enhance the comfort quotient of your kitchen it’s important that you have modern appliances such as a modern fridge with advanced technology and an up to date microwave. A modern fridge is very important for maintaining the freshness of your food for a longer time. Modern fridges are leagues beyond fridges of the past and it allows you for greater flexibility come meal preparation time. You’ll be thankful you have that modern fridge when you’re preparing meals for your family and hosting a party for your friends.